Introducing Labconco’s new Intelli-Sense Multi-Speed Blower! Available in 10″ & 12″ diameter inlet sizes and then can be ordered in coated steel, fiberglass or PVC to match up with the appropriate chemical use. This blower was designed to provide an option for users who prefer to use different speeds at different sash heights and operating times. The entire cost of the blower can be paid off in less than two years, if used appropriately. 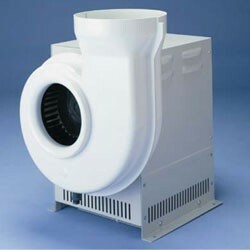 Contact our office for more information, to find the right blower for your laboratory.